Take a look at the gospels with “married” eyes. 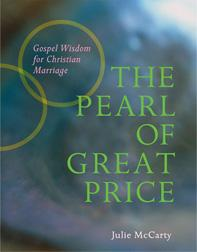 Julie’s book, The Pearl of Great Price: Gospel Wisdom for Christian Marriage, shows married and engaged couples how to pray and reflect on God’s Word together, allowing the beautiful intimacy of prayer in marriage to become reality. This simple yet profound book considers such basic gospel stories as Joseph’s wedding jitters, the angel’s appearance to Mary, and the wedding at Cana–all providing spiritual meaning for today’s couples. Inspired by lectio divina (sacred reading), an ancient Christian prayer technique, The Pearl helps couples deepen their marital relationship and find God at the heart of their marriage. It is a wonderful guide for marriage preparation and enrichment and makes a meaningful wedding or anniversary gift. This tiny book fits conveniently into both pockets and busy lives, but its big title reminds us that like all of God’s gifts, a good marriage is worth more than a world of possessions. “It is so easy in today’s culture to forget that marriage is a vocation. 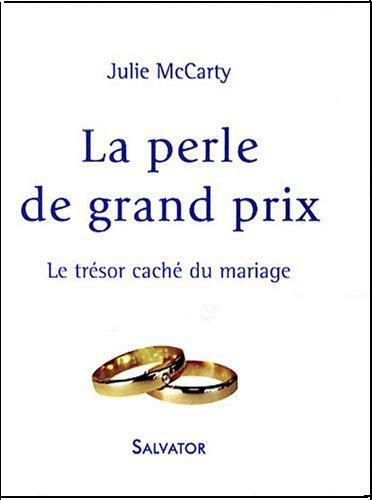 In The Pearl of Great Price, Julie McCarty clearly turns our focus back to this reality, calling us to ‘look at the gospels with married eyes’ to see how Christ is currently at work in our marriages to bring about His loving purposes. Jesus’ first public miracle was at a wedding feast and the Blessed Mother instructed the servants: ‘Do whatever He tells you.’ Throughout The Pearl of Great Price, Julie McCarty provides insightful and at times piercing reflections on marital implications oozing from the gospels, and she repeatedly reminds us to ‘do whatever he tells you.’ This book is a must read for those married couples seeking fresh insights into their vocation.” –John R. Buri, Ph.D., Professor of Psychology, University of St. Thomas, Saint Paul, Minnesota.